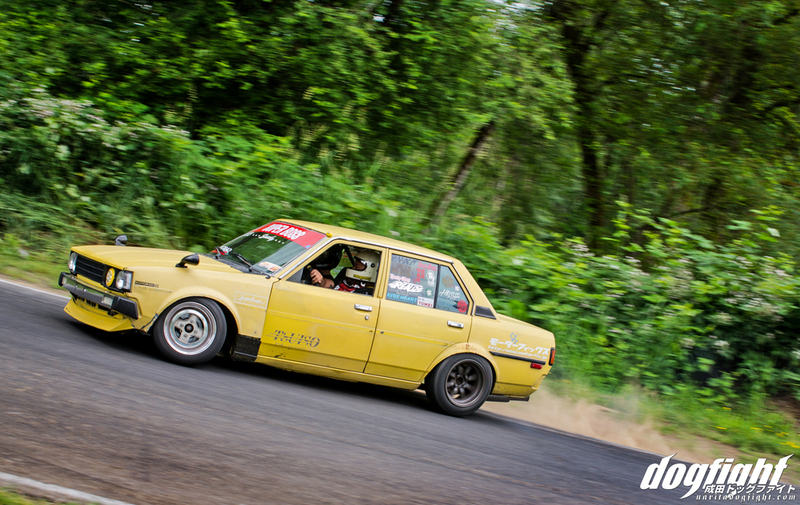 After two successful Final Bout showdowns, we are proud to have presented the first Special Stage series event in Portland over the Memorial Day weekend. Our first westward trip has resulted with the culmination of stylish cars, passionate drivers, and excitable spectators. Here are a few words and images from our official media partner, Narita Dog Fight. Enjoy! There’s something to be said about those who go out of their way for the preservation of ideas. These people, when sensing a degradation in quality or process, will consciously take on the role of safeguarding origins. There are quite a few of us who, in our day to day, fail to see the importance of upholding certain ideologies. While the majority of us don’t fall into this category, it’s safe to say that those who do, have the ability to carry many. To them the priority lies in guidance. It’s about the teaching and the development of a new generation. A generation that may not be exposed to the superior pedigree of the past, but hold with them a desire for growth. Having spent the lesser side of a week with a few of these individuals, I can tell you it is a rare quality they possess. It is their calling, and they answer to it; and how they’ve answered has ignited a world-wide call to arms. Final Bout is not an event that caters to the partial. It is not interested in those who do not hold the ancestry of the sport in high regard. Instead, it’s purpose is to create and grow a community of those who hold all aspects of the sport in an equal mindset. One who doesn’t put performance above aesthetic, but instead views them to be equally necessary. One who doesn’t put winning above the joy of driving. There are a myriad of those who agree with this concept, and while less vocal than some, they’ve started to come out of the woodwork. The growth of this series is proof enough, and in it’s third year has expanded to cover all sectors of the country. The first of which brings us to the Western United States, just outside of Portland, Oregon; let me be among the many to welcome you to Special Stage West. It’s for the reasons addressed above that Final Bout has been chosen to be an ‘invite only’ event; a decision that often times comes under fire. Those who are criticizing the decision, however, are failing to see the underlying concept of Final Bout. In order to nurture a particular niche, any exposure must be catered to that very purpose. (If we try to teach a child what an elephant looks like, we don’t show them flashcards of a giraffe – juvenile example, I know). As it is, if we are actively seeking to push towards more cars built in a specific fashion that are driven with skill – we want credible sources. This is where the need to limit participants comes in. Simply stated; all competitors in the series have cars that look and perform well. Yes, style is most certainly decided by opinion, but it’s this very opinion that is trying to be cultivated. Keep in mind that the creators of Final Bout didn’t start drifting yesterday. They’ve been deeply involved in drifting for well over a decade; some lingering closer to two. Some have spent a lot of time in Japan, and understand what’s being stripped of the sport here in the US. Almost all new concepts come with their fair share of criticisms, however, so it’s expected that Final Bout would be no different. REMEMBER THOUGH, THAT EXCLUSIVITY BREEDS DEMAND. WE WANT PEOPLE, WORLDWIDE, TO SEE THESE COMPETITORS; TO SIDE WITH THEM, TO BE INSPIRED BY THEM. These teams are chosen because they embody the characteristics of drifting that we feel were lost in translation. Final Bout works to rewrite the transcripts, to bring the comradery and style back to drifting. 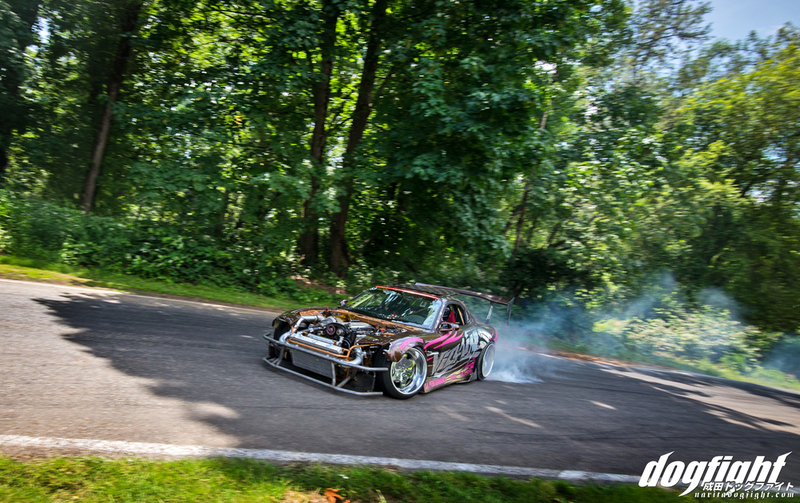 Contrary to the majority of drift events in the US, Final Bout focuses on the team aspect of the motor sport. 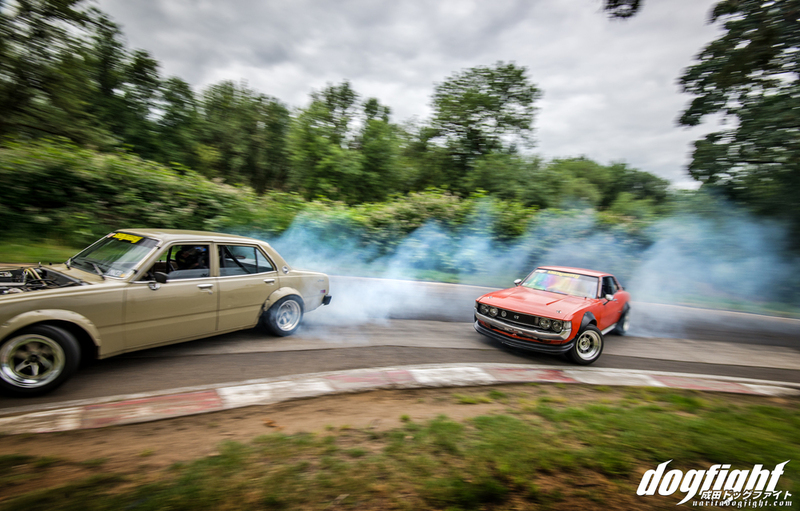 More akin to a grassroots drifting event in Japan, where tandem drifting among team members is much more prominent, drivers are forced to push their skills, not only as individuals, but as a team as well. By highlighting this facet of the sport, not only does Final Bout appeal to a certain audience, they are also set apart from any other event in the industry. This year, unlike the past, three Special Stage events are being held in each sector of the country. As a result, we have a race track full of people not competing against one another, but helping everyone enjoy what they love to do. I wanted to do my best on capturing the team essence of the event, but unfortunately for a large portion of the day, most of the teams were helping one another fix their cars in the pits. Because of this there were quite a few teams going out as individuals or missing members. Regardless, the spirit was present more than ever, with each team bringing their own blend of uniqueness to the day; and you’d be hard pressed to find a better example of that spirit than in the team you see here. Perhaps some of the most seasoned drivers on track (I say that in the nicest way; with age comes experience, right? ), belonged to ShaDynasty; the only team comprised solely of classic Toyota’s. Two twin brothers, Matt and Mark Panic, Paul Harrison, Cody Berlin, and Justin Lucas make up the 5 member team and, despite only driving together since 2014, have a combined 45+ years of driving experience among them as individuals – and it shows on track. 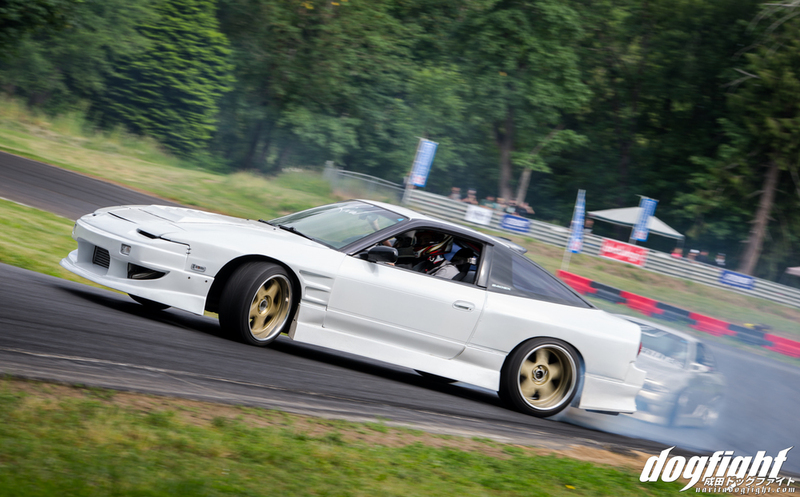 Having spent a good amount of time in Japan, Matt, along with the other members, hold a certain mindset on drifting that resonates among the team. 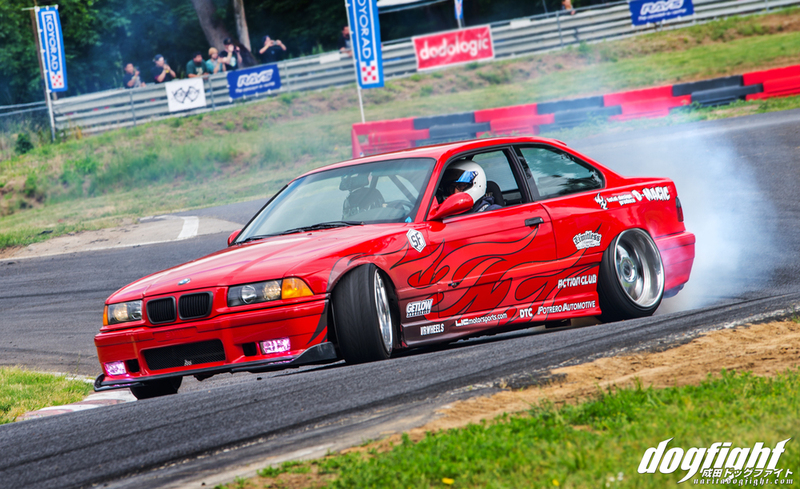 Shying away from the competition aspect of the sport that has so prominently been pushed in the U.S., ShaDynasty agrees that the joy of drifting shouldn’t be sacrificed for personal gain. Rather, advancing as a team is a much more rewarding concept. It’s this very like mindedness that inspires others to abandon the unimportant facets of drifting, and be more inclined to pursue a more lighthearted route. This is not to say that there is a right and wrong road to take when it comes to the sport, but it holds true that there are two very distinctly different routes. 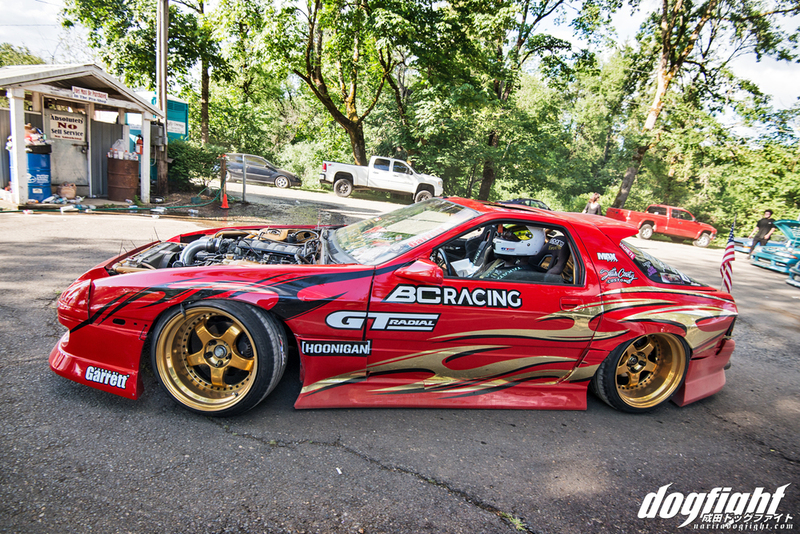 I personally like the fact that drifting in the US has transformed into an entirely new creature. We’ve taken a concept as enthusiasts and made it into something uniquely our own that many people enjoy; but it still stands that it’s not for everyone. We all need to collectively realize that that is an OK thing. I feel that this event is a great outlet for the population that sides heavily with constructively ensuring that we don’t totally lose sight of where the sport came from. Touge Factory awarded ShaDynasty at the end of the event with a package of goods, stating that the personification of teamwork and community stood out as a prominent characteristic in all the members. This team is just one among the many in attendance at PARC that day. I’ll do my best to highlight them in their own way in the coming posts, as each team and member brings with them their own take on a collective idea. Animal Style, Auto Factory Realize, Blackmoon, Daring Partners, Destroy, Diplomats, Goldstar, Henchmen, Riot Factory, Rival, Sneeky Kids, Street Magic USA, Tracker, and Villains; while not all were able to drive as a team, everyone was able to bring something to the table. Without a doubt, the award for the most photogenic team of the day goes to Northern California natives, Animal Style. A crowd favorite, this team takes the concept of matching liveries to an extreme. Personifying Japanese style in both driving and car builds, this team wouldn’t be the least bit out of place in Japan. Actually, if you were ignorant of the fact that I took these photos in Oregon, I could almost pass them off as being in Japan. The team was formed in 2009, and has grown in popularity and size since. Fluctuating around about a dozen members, there are a handful that consistently drive events. Julian, Ryan, Luke, Jason, Alvaro and Palmer were among those that attended the PARC event. Hert showed up a bit late working tirelessly to get his car there on time in it’s new form. Working closely with design company, D.Magic, each car is treated with it’s own version of a similar graphic. Colorway and design differ only slightly to give the team a personal, yet mutual, look. They’ve even gone as far as designing their very own Stance coilovers and arms, to the teams custom specs that include the Animal Style logo – pretty cool. Without a doubt, this was the group with the most members at PARC; or in the Final Bout series altogether. It never fails that I end up with a lot of photos of them. The combined work it takes to make these cars look and drive the way they do is a testament to the team’s dedication. On track, the Animal Style drivers aren’t afraid of closing the gap in tandem. On a side note, I gotta say, PARC has some insanely relaxed infield rules for media. I’m not sure how much experience the other people out there had, most seemed younger, but they were getting awfully close to the track while it was live – some even running onto it between cars. I was honestly really worried for some of them, and glad ultimately no one got hurt (maybe I’m just getting old). Also, shout out to the 14 year old Russian kid who almost gave me a haircut with his drone. This is all a little new to me, as I generally cover Time Attack events in Japan. Being admittedly ‘uneducated’ to drifting in the US gives me a rather unbiased look into the goings on of events like this. I’m not privy to the conversations of the past, nor am I keen to know of them. It allows me to take everything at face value, and allow everyone a clean slate. Which is why I was a bit dumbfounded when I saw the onslaught of social media following an incident that happened at the event. Over the weekend I had met Kam Caldwell, one member of the team Tracker based out of the Chicago suburbs. I remember meeting a few other guys from this team last year, like Ben Mich, and getting to talk with them for a bit. Kam mentioned that they’d all been driving together for about 3 years, and have been at each Final Bout. Kam, along with Jake Possemato were the only two drivers from Tracker to make the trek to PARC to drive. Unfortunately, Jake damaged his car pretty bad in the beginning of the event (an incident that has been so badly played out over the past week that I even questioned mentioning it) and wasn’t able to drive too much. He did end up fixing it though, and was able to get a couple laps in towards the end of the afternoon. However, the event wasn’t even over before the internet was riddled with negativity towards the incident. Being an outsider I’m not sure where it all came from, or the reputation anyone has built for themselves, but it was very direct and almost tainted the entire day for me. I may be getting a bit existential, but it’s this kind of behavior that really holds back this type of localized motor sport in this country, and it’s something I rarely, if at all, have seen in my time in Japan. For a country that is doing it’s best to emulate another, I think we should take this into consideration (/PSA). Quite a bit of excitement I’d say, but the most exciting thing of the entire weekend, for me anyway, wasn’t even on track. Teddy chose Special Stage West as the site for the unveiling of his 6+ year R32 build. I know the story from being a friend of Teddy’s, but I’m pretty sure it’s a well known tale throughout the internet. So the majority of people will know how much the completion of this build means to him. He’s gone through a lot with the car, put in a lot of work and money, and seeing the joy on his face all weekend assures me that it was all worth it. The car runs, but wasn’t tuned, so there wasn’t really any track time. Just having the car there, with the rest of his team was enough for him though. Auto Factory Realizehas always been the hometown hero of Final Bout for me, and seeing the team in it’s completion was pretty awesome. Teddy, along with John Ruiz, Chuck Uemura and Gary Sukrattanawong make up the four man team hailing from Southern California. As far as team coordination goes, AFR is among the best in the nation. The matching paint, vinyl schemes and even matching teal jumpsuits scream solidarity. Definitely one of the more lighthearted groups, it’s clear that having fun is a top priority for them. I tend to gravitate towards them at events as I feel we all share similar sentiments about the sport. AFR was more or less a revitalization of the older ‘Mulsanne’ team, that back in the day had a couple different members. Realizing (pun intended), that Auto Factory Realize would be a great double as both a drift team and the name of Teddy’s shop, it slowly formed into more of a factory team. Keeping the cars in a similar teal color, they would maintain the original feel of the Mulsanne team while still presenting a fresh new look. 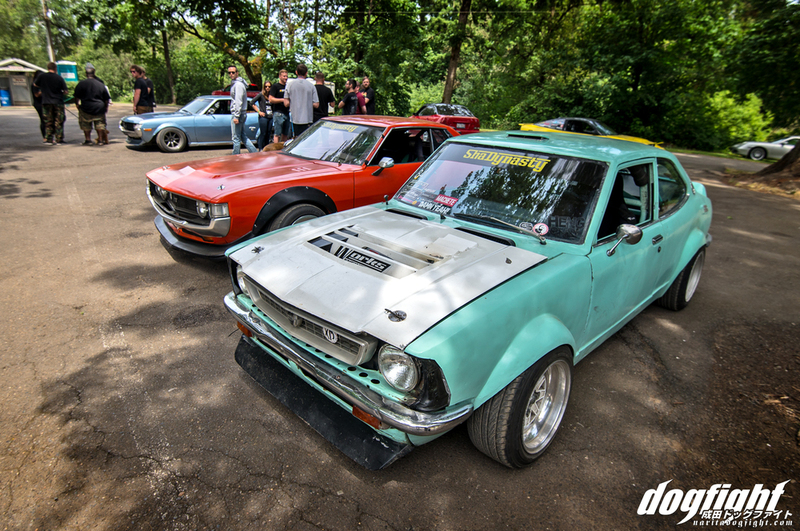 John had issues initially with boost after blowing a coupler, and later in the day issues with his differential overheating, but nothing too major that would prevent him from having a good time. 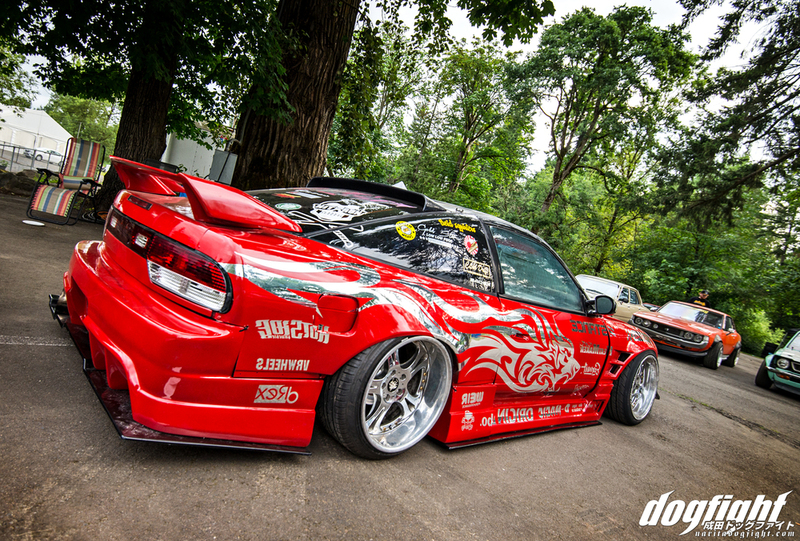 Chuck’s S13.5 (is that what you call them? ), was looking good leading a couple tandem runs. Another team that I remember from last year’s Final Bout that make the trek all the way to the Mid-West was BLVCKMOON. Joseph, Sam, Taylor and Scott round up the four man team from California. This time, the trek to Oregon was much quicker than heading to the Wisconsin. I remember enjoying the simplicity of these cars; forgoing flashy exteriors for a more understated, quieter look; a stark contrast to their powerful driving style. Hope to see them again at the next round. 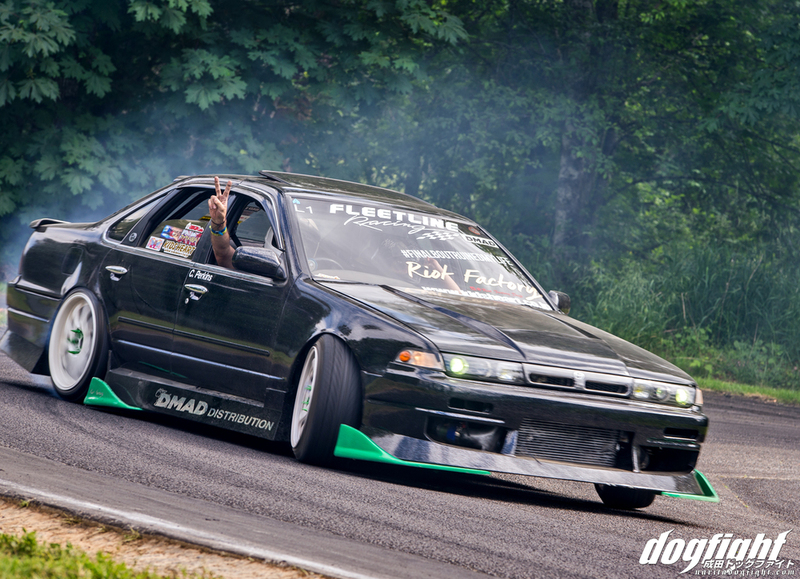 My good friend Derek Slyter, who drives for Rival, chose Final Bout to bring his S14 out of retirement. Moving around the West coast for the past few years, Derek’s car had been sitting in a garage in his home state of Idaho. He went back to retrieve it and get it in running shape the week before Final Bout SSW. The four man team was formed when one of the members, Cody Fowler, was trying to sell a car in Washington. Cody drove across from Idaho and hung out for a few days around the same time SSW was announced. You can imagine where it went from there. Derrik and Roland with a tight tandem headed into the back of the course. Hailing from Walla Walla, Washington (yeah that’s a real place), Villains was not only a trio that personified the spirit of a team, but also one that capitalizes on the sport. Like many of us who want parts that may or may not be on the market, we go out of our way to develop them ourselves. I wanted an affordable carbon plug for my car, so we developed and made one; turns out many other people want them as well. As is the case with the parts that Villain develop – they had a demand, so they met it themselves. The team was driving very well together nearly all day. Three car tandems early in the day, faded more or less to two; as the day wore on, more and more cars were breaking. You can check out their Facebook page for more pictures, and vids. I’m all for matching liveries, but man, that brown base color is just too pretty to cover up. The twin-charged, 2JZ powered FD was making some really unique noises out on track. Goldstar was on-hand from Northern California with a partial amount of their team. A group of guys who put style above nearly everything, you won’t find a bad looking car among them. In fact, the engine in Dom’s Z32 is almost completely stock. Henchman was another local-ish team from Washington, that participated in SSW. It’s cool to see a lot of these other teams that weren’t necessarily able to make it out to the Midwest event the last few years. I think we’ll see a similar local turnout during the East event. The Altezza in this team was so low, I could hear the aero pieces scraping before I heard the car coming most of the time – looked great! Was also really digging the LED headlights on one of the black coupes. Unfortunately the third car was broken for most of the event – I didn’t see it out on track much. Another team that made the trek from Southern California was one I am very familiar with; in fact I share a shop with one of the members. Sneeky arrived to Portland mid-Saturday with 3 of it’s 4 members. Despite the team being around since 2009, this is actually the first time they’ve driven together. Kam, Evan, and Darryl were able to drive together for about the first lap until Evan’s motor started knocking pretty bad. Which is a bummer because he just got done putting the new motor together for this event in particular. Daring Partners were out in full force tearing up the entirety of the track. I caught this shot of Eric Mayfield headed in to the back 90 degree left; it’s one of my favorite shots of the day. Shooting with the 16mm was a lot of fun, but I had to get a little too close to the track for my comfort. 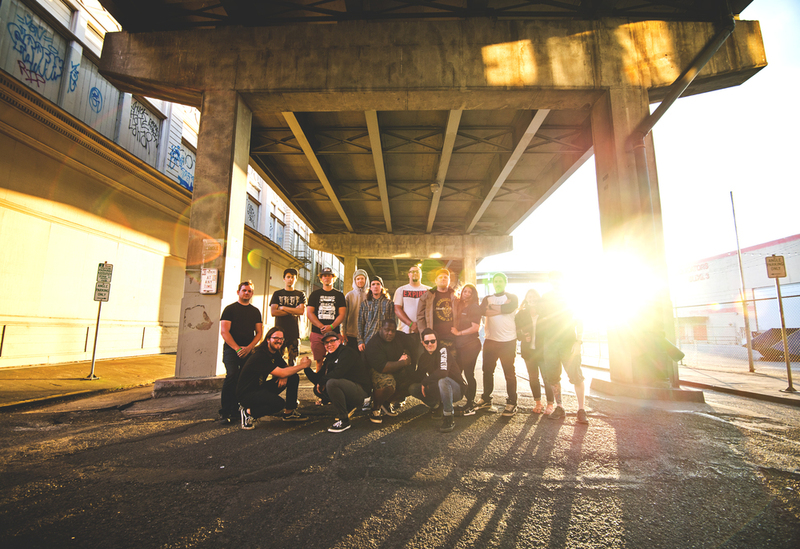 The 6 member team, Destroy, was founded in Washington in 2012. The 3 cars that were driving most certainly lived up to their name. There was a good amount of body panels left in their wake. 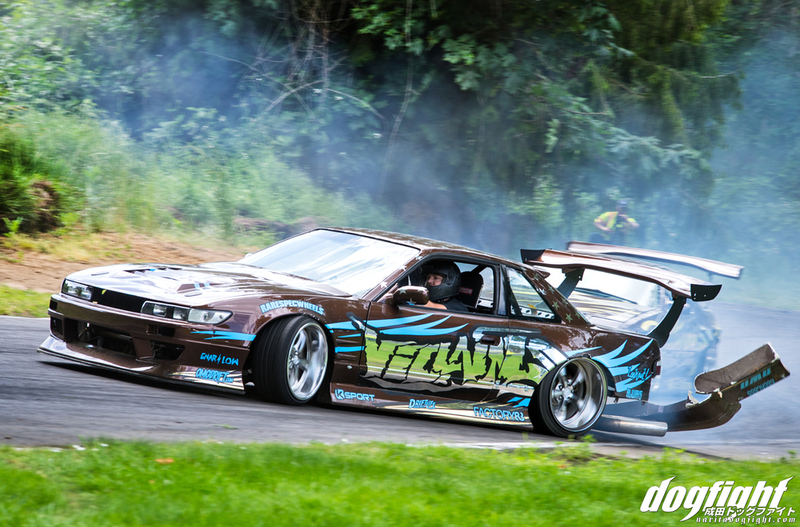 The 1JZ powered S13’s were pretty wild – definitely not under powered! Street Magic USA had a good looking livery made by Super Wow Factory – they were among the teams that got in a lot of tandem runs. It didn’t take but a few hours to figure out what teams have been driving together for awhile. I feel like these three guys have been doing this together for some time. There were a couple of other teams running that day that I wasn’t able to get too much coverage of. Tandem of Die, Diplomats, Midnighters and Riot Factory were in attendance and looked like they were having a good time driving at PARC. The cars are cool, the driving is awesome, but the best part of traveling to any motor sport event is always going to be the friends you see; especially an event with a draw like Final Bout. Dinner at Montage in Downtown Portland was a highlight for me – any time I have a handful of friends from all walks of life congregate together because of cars it brings a smile to my face. Again, thanks to everyone who came out!